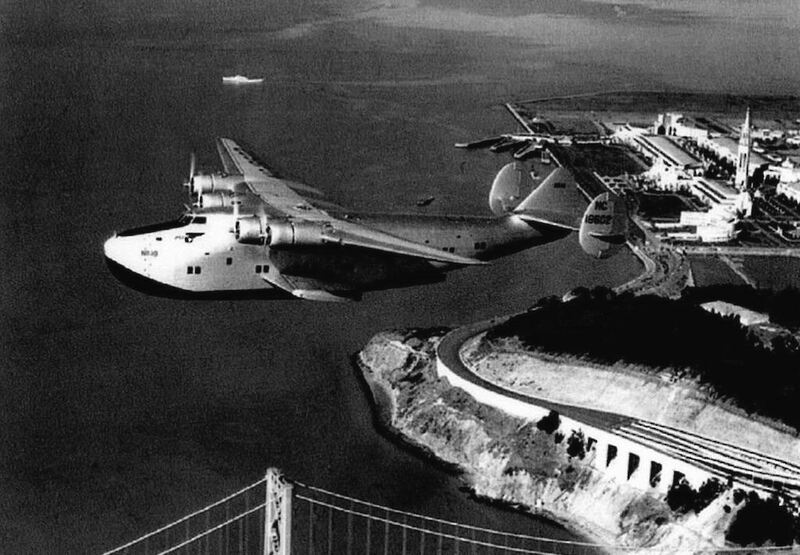 Over the years, the age of the giant flying boats has been romanticised into a gilded memory of glamorous, spacious and luxurious air transport that finally conquered the world’s greatest oceans. But if the era was really so fabulous, why was a gifted aircraft designer (and experienced air traveller) like Dr. Beverley Shenstone convinced that it had to end as quickly as possible? And why was the last-word Saunders-Roe Princess doomed before it even got wet? There’s a clue in the word ‘romantic’. The stark reality is revealed in the memories of Elgen M. Long, a truly remarkable pilot who first flew as a radio operator on Catalinas and Clippers. 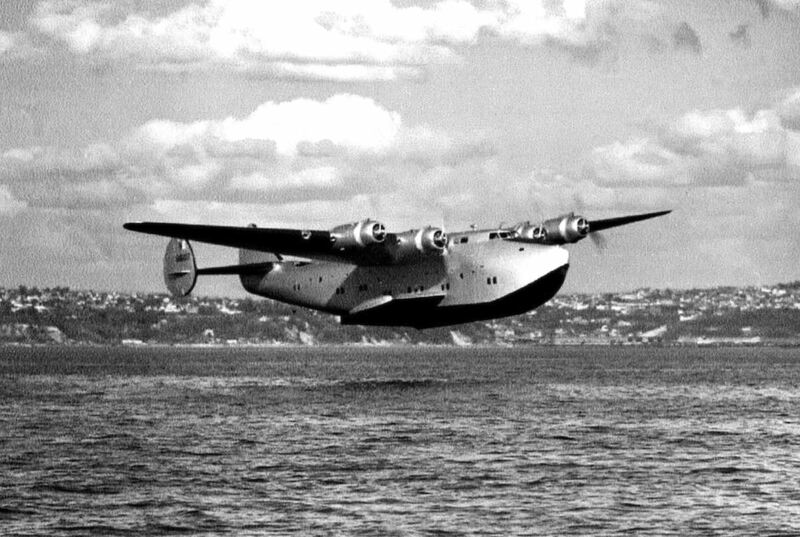 His recollections of flying boat services come to ‘airscape’ through the generosity of aviation author Mark H. Goodrich. His article was first published in the September 2014 issue (Vol 11 No 3) of Position Report magazine, the magazine for retired airline pilots. 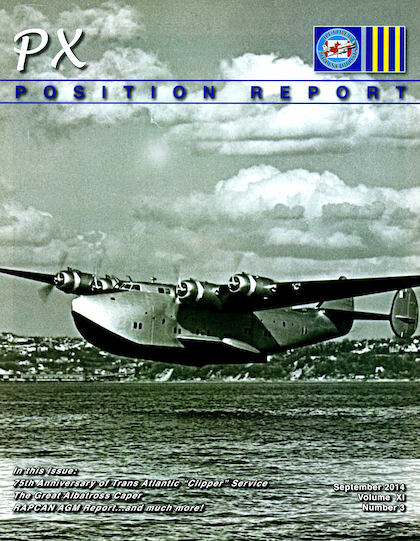 In my recent article on the Canadian Museum of Flight in Langley, I introduced the readership of Position Report to Elgen M. Long, holder of some 15 Fédération Aéronautique Internationale records and its Gold Medal. 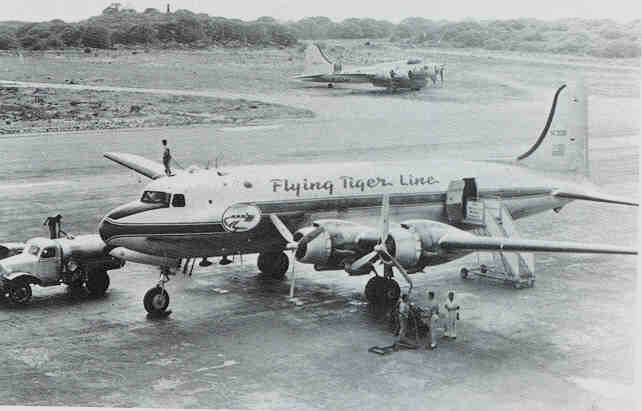 Captain Long started his aviation career as a radio operator and navigator on flying boats – the Boeing 314 and Consolidated PBY – and finished as a Boeing 747 Captain for Flying Tiger Airlines. Along the way, he flew many of the airline transport types between. 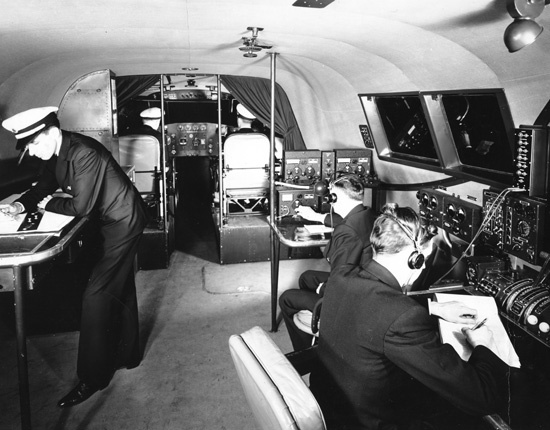 When the navigator’s license was first initiated, he was already flying as a navigator, and took the newly required practical test on a regularly scheduled flight in a Boeing 314. When the Boeing 747 was first introduced to service some three decades later, he transitioned from the Douglas DC-8 as a captain. I recently asked him to share with us some of ‘the way it was’ flying the Atlantic, Pacific and Caribbean in the flying boats of that earlier era. The following are the recollections of Captain Long. “Working against the realities of slow flying at low altitudes for hours on end, the airlines went to great lengths to try and make the passenger experience first class on the Boeing 314. There were 65 seats, and about half could be converted to sleeping berths on some airplanes. 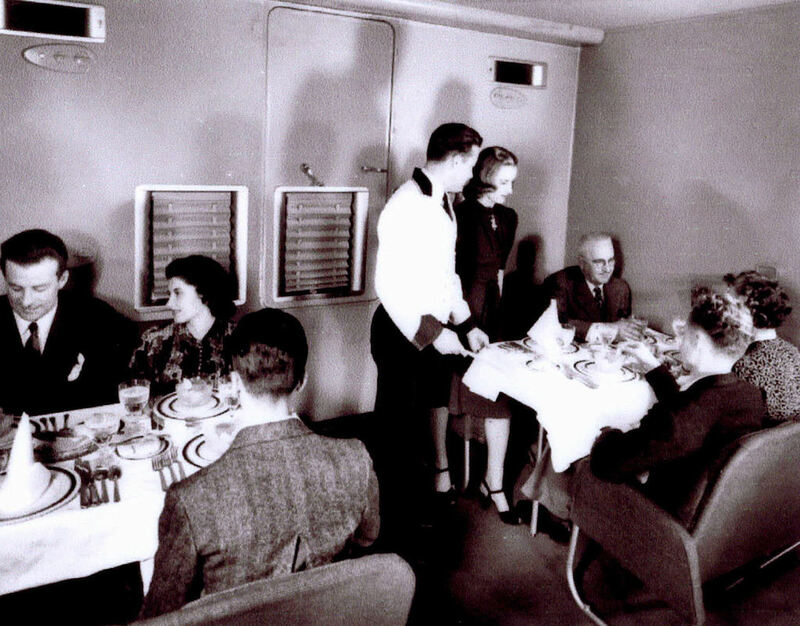 Two stewards oversaw meal service and passenger comforts. At the aft end of the lower deck, there was the ‘Governor’s Lounge’, which was a VIP suite. 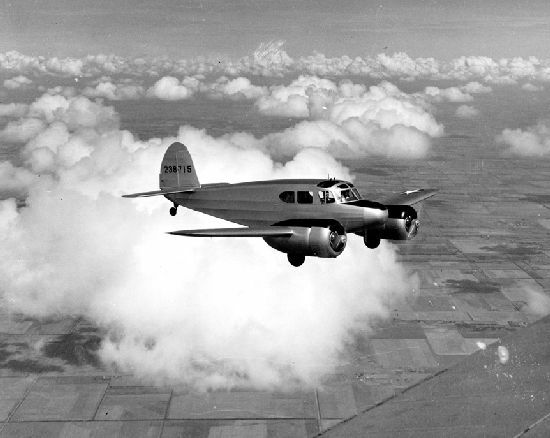 “The Boeing 314 was very unstable in the characteristically rough air at the low altitudes we flew. All flights were made at less than 4,000 feet, and some at less than 2,000 feet. We tried to stay below the clouds, so long as we could do that without risking a collision with a ship. 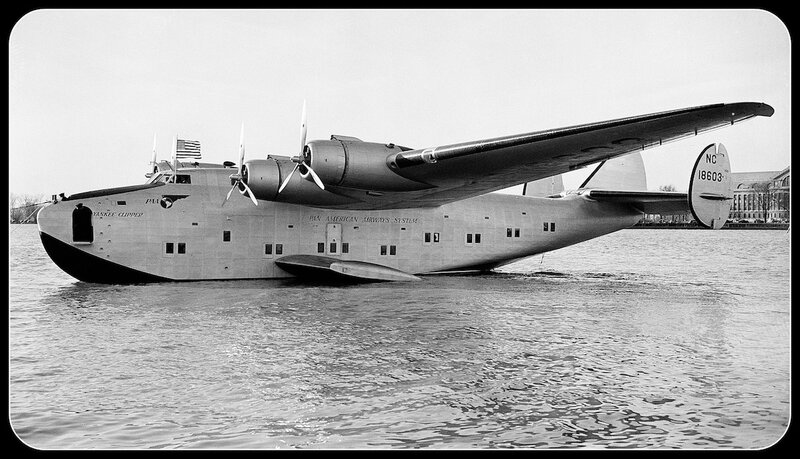 Like most large flying boats, the hull was aerodynamically unforgiving of any slip or skid, causing the airplane to easily ‘wallow’. “That phenomena and the turbulence at low altitudes was accompanied by very high levels of constant vibration and ambient noise. 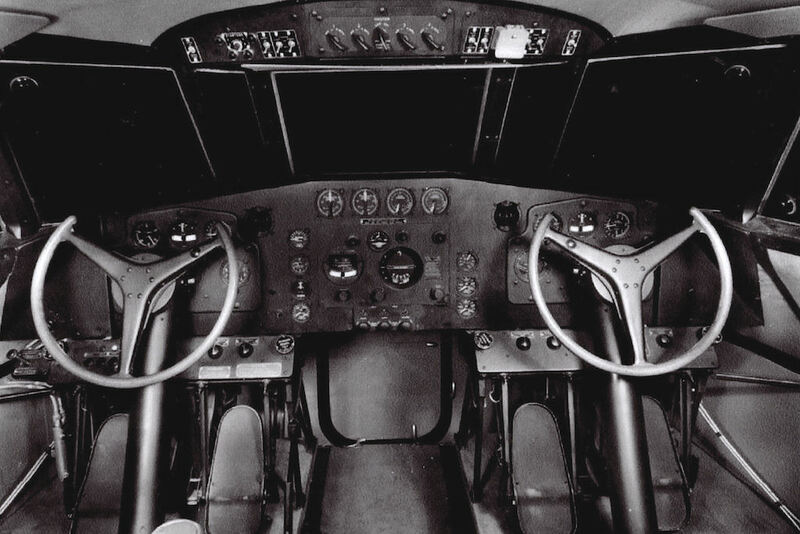 The navigator’s station was about 15 feet aft of the pilot seats, and along the port side. We had to stand in order to work at our table, and the combination of things that made the airplane unstable for hours at a time also made it difficult to stand. “To keep our paraphernalia of the trade on the table, we used masking tape to secure the divider, drafting compass, slide rule, load calculator, charts, books, and pencils. Forgetting to tape something down would invariably result in the navigator crawling around on the floor trying to locate lost items. “High powered oceanic beacons were available on low-frequency for some routes, using the beat frequency oscillator for long-range tuning, but interference from conflicting ‘sky waves’ (which we now know were bouncing off the ionosphere) and ‘ground waves’ (which were ricocheting across the lower atmosphere) often created signal conflict to the point where the homing needle was unusable. “The radio operator ‘graded’ the quality of the signal for homing based on how far it swung left and right in its oscillation pattern. After World War II, we had early versions of LORAN in the Pacific. It was quite an improvement, although not always accurate by the ‘three times T+3’ standards we later came to accept with even early inertial systems. “Pressure pattern navigation techniques were used when a flight would pass a low pressure center, essentially allowing the winds from one direction approaching the low and the other once past it to cancel out. Before the war, we called it the ‘constant heading technique’ for the obvious reason. Like Lindbergh, we were often a little surprised to actually ‘see Ireland’ out the window. “Drift meters were used repeatedly throughout extended overwater legs. 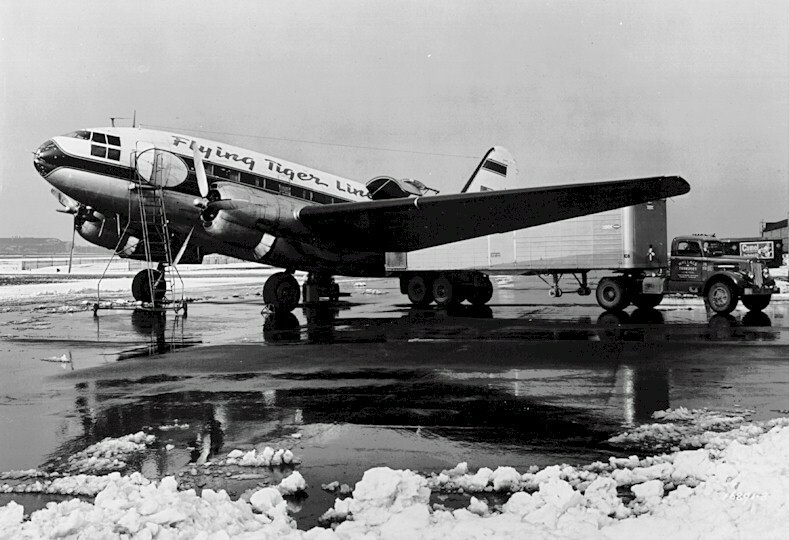 On the Boeing 314, the navigator had to crawl some distance out into the interior of the wing, where the drift meter was installed. We always stripped down to underwear for that exercise, as it was very wet inside the wing. That allowed us to towel off and don a dry uniform upon return to the flight deck. “Flights were always scheduled so that takeoffs and landings were in daylight, which had the effect of causing extended overwater sectors to be flown in darkness. 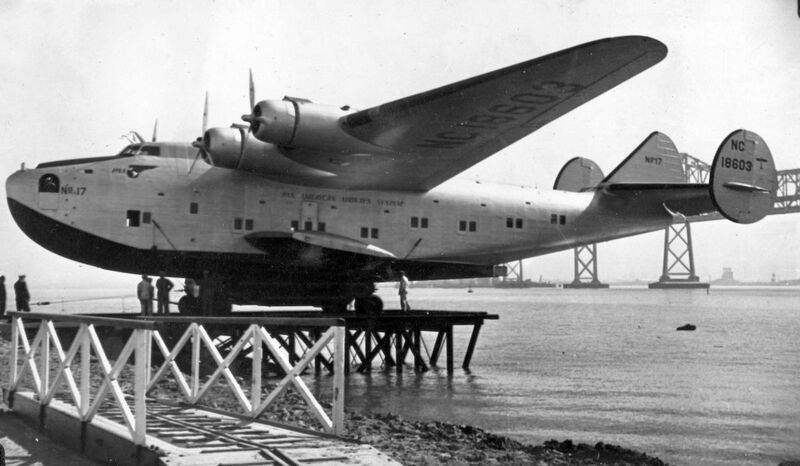 There were no instrument approaches and no underwater alignment lights for takeoff and landing, even at the large seaplane bases, such as Flushing Bay in New York City, where we used the LaGuardia Marine Terminal to enplane and deplane passengers. “We were always subject to the primitive weather reporting and forecasting of the era, and to icing conditions, as the airplanes were without de-icing equipment. “When confronted with unforecast fog along a shoreline, the best procedure was often to land offshore, and then taxi to sheltered water along the shoreline and wait for better weather. Sometimes a pilot boat would be dispatched, but more than one captain landed in the ocean and taxied into a harbor or up a river to reach the seaplane base. “The procedure could work well at places where boat traffic was light, like Foynes, but was too dangerous in New York or Baltimore. Gander Lake (on Newfoundland) had no ocean access, but the Pan Am crews could taxi into Botwood if they had the visibility to make a 25 mile trek through a complicated system of waterways. “There were always many variables on the extended-range oceanic flights, and much that was simply beyond the control of the crew. 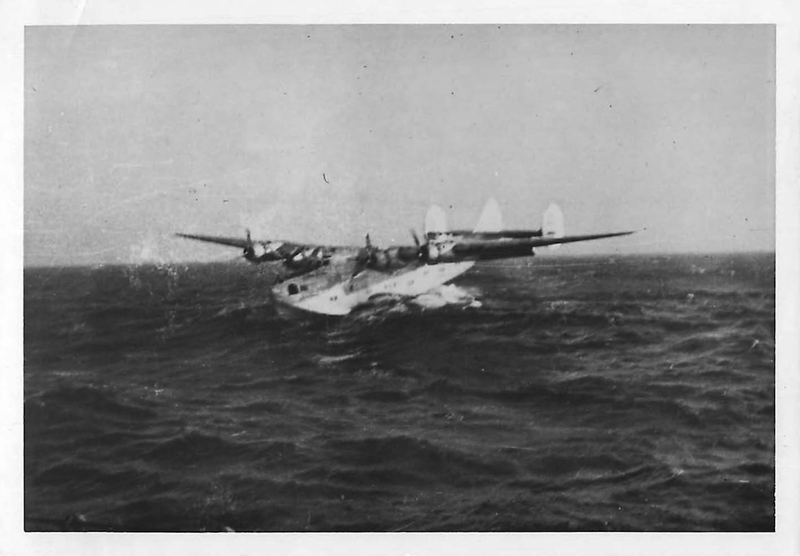 One of our World Airways* crews landed a 314 at ‘Ocean Station Charlie’, about 780 miles east of Gander, in October of 1947. 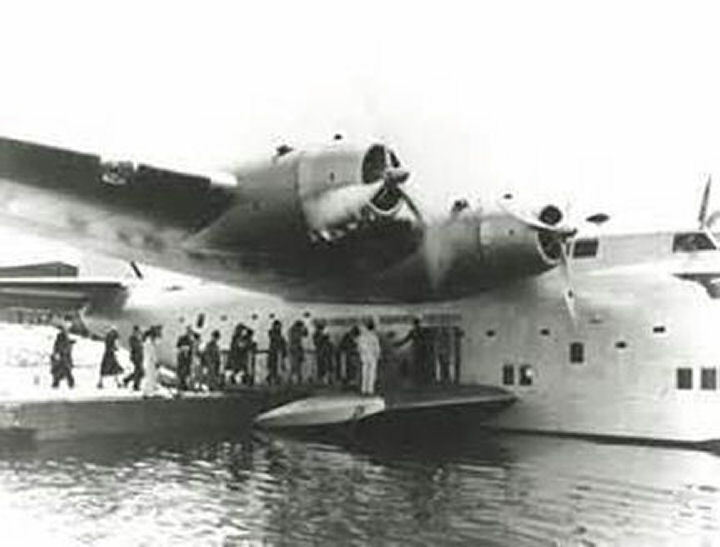 That aircraft, known as the Bermuda Sky Queen, was on a flight from Poole to New York City, with intermediate stops planned for Foynes on the river near Shannon, and Gander Lake. On board were many diplomats associated with the newly formed United Nations, including A. Edgar Ritchie, a long-time Canadian diplomat who would – some twenty years later – become Canada’s ambassador to the United States. “Although the details of the planning for that flight have always been somewhat vague, if not outrightly controversial, official reports reflect that winds of more than 100 knots arose unexpectedly after passing the ‘point of no return’, leaving the airplane with insufficient fuel to make Gander Lake. Captain Charles Martin elected to divert to one of the eight ‘oceanic stations’ maintained across the North Atlantic at that time (each consisting of a surface ship maintaining a constant vigil within a ten square mile ‘station area’ to provide weather reports and emergency assistance). “After circling the ship at very low altitude for several hours while waiting for first light on October 14th, Captain Martin landed the airplane in seas of some 37 feet. The ship had poured oil on the water and made a series of sweeping turns to try and calm the surface somewhat, but with limited effect. 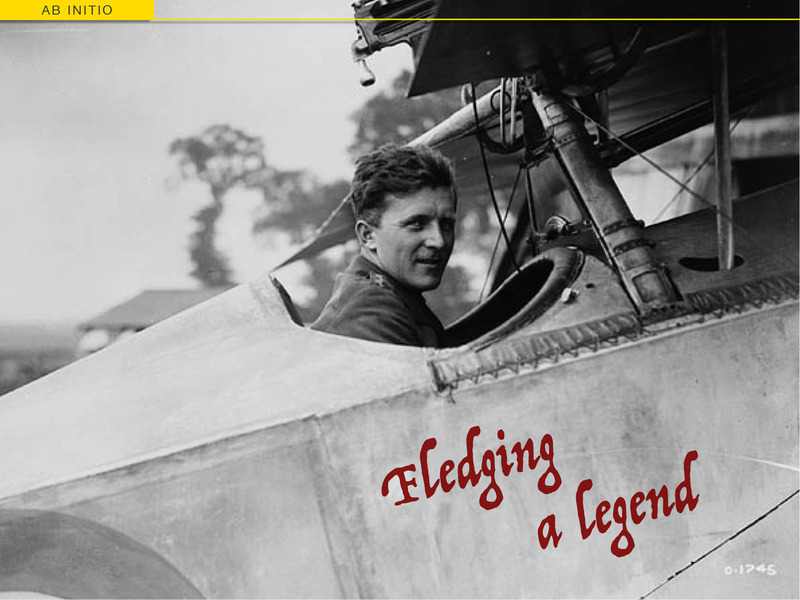 “It was an exciting time in aviation. 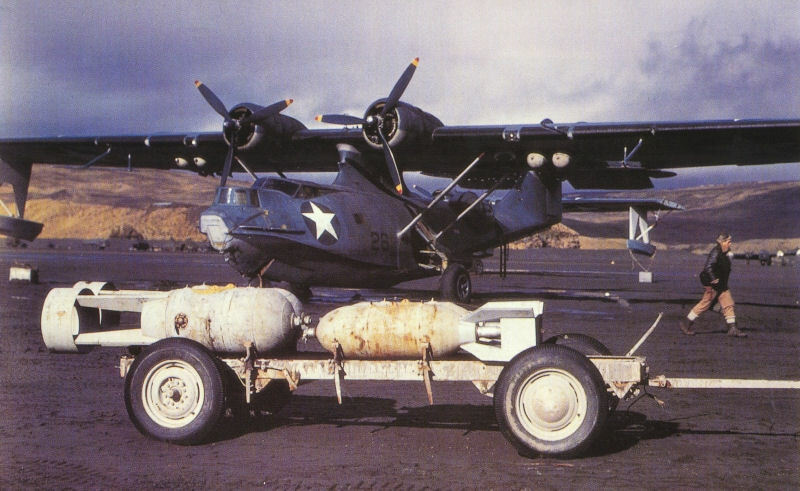 At the start of the War, our PBY aircraft were equipped with low-frequency radios and celestial navigation gear. To spot enemy ships and airplanes, we relied on binoculars. “During the War, the state of technology increased by the week. Four years later, we had been through a technological evolution in radar, magnetic detection equipment and 12-frequency sonar buoys. Gun turrets and racks for torpedoes, bombs and depth charges had been added to the PBYs. In fact, the wings were so crowded with antennas, the Leigh Light (a high-powered searchlight used to target submarines operating on the surface in darkness) and ordnance, that we tried to avoid dropping the torpedoes, as they usually took an antenna array with them. “The War resulted in many new runways around the world, and by five years or so after it ended, the 314s were retired even from the relatively short runs between New York and San Juan. “The airplanes were never very efficient and became very difficult to maintain. At the end, we had five airplanes from BOAC, and all were very high time. Three were usually dispatchable, and two were cannibalized as a source for otherwise hard-to-get parts. “When the Civil Aviation Agency (CAA) starting complaining about the many fatigue cracks in the structure, the elevated maintenance and inspection schedules, not to mention the required repairs, made their continued use economically impracticable, and sealed their fate. “With technology advancing so quickly, I could see the handwriting on the wall for navigators. I used my GI Bill benefits to get commercial, instrument and multi-engine licenses. “I had a seniority number with Flying Tiger Airlines from having helped them on some of their very first flights three years earlier, and told the chief pilot that I would like to move up to seats with forward-facing windows. He gave me a flight check in the Curtiss C-46. It was substantially larger than the Cessna UC-78 I had been flying in training, but somehow I managed to keep it on the runway. My career as an airline pilot was under way. Copyright © 2014 Mark H. Goodrich. Adventure with a capital “A”! 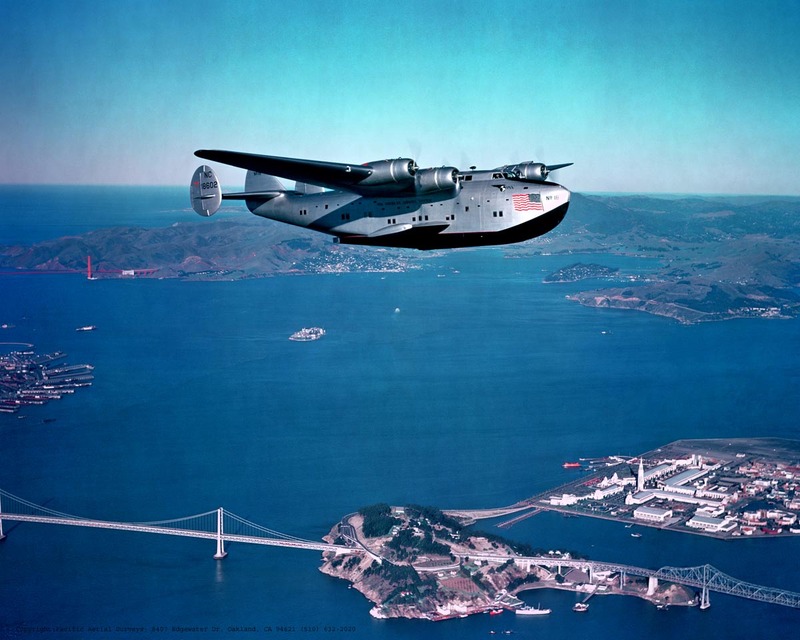 Despite Mr. Long’s reminiscences about the hassles, slow speeds, and we-didn’t-know-what-we-didn’t-know dangers of flying in the 1930s and 40s, there was a stately elegance and swashbuckling adventurousness about those days which I wish we could capture a wee bit of in today’s flying. A hell of a time to be alive, it was! Amen to that! The trick is to preserve the adventure while keeping innocent passengers perfectly safe. Still, it behooves every airplane driver to nourish their inner aviator with more some adventurous kinds of flying as often as they can. Isn’t that the truth? The risk tolerance for different types of flying varies so widely that it’s a shame they all go by the same name. Even today, the acceptable, reasonable risk level for a charter flight will be significantly different than for an aerobatic flight, even when both are conducted with passengers aboard. There’s still plenty of excitement to be had out there, plenty of old biplanes and such to put some of the romance back into aviation. It’s too bad more of the airline pilot types don’t partake of the bounty! Sounds like flying a flying boat was fun . . . and dangerous! At least it was a rugged airplane! I’ve always wanted to fly in a Catalina but the opportunity has never arisen. It’s a shame aviation companies don’t still make old airplanes like the Catalina, Piper Cub, and P-51 just for old times sake. 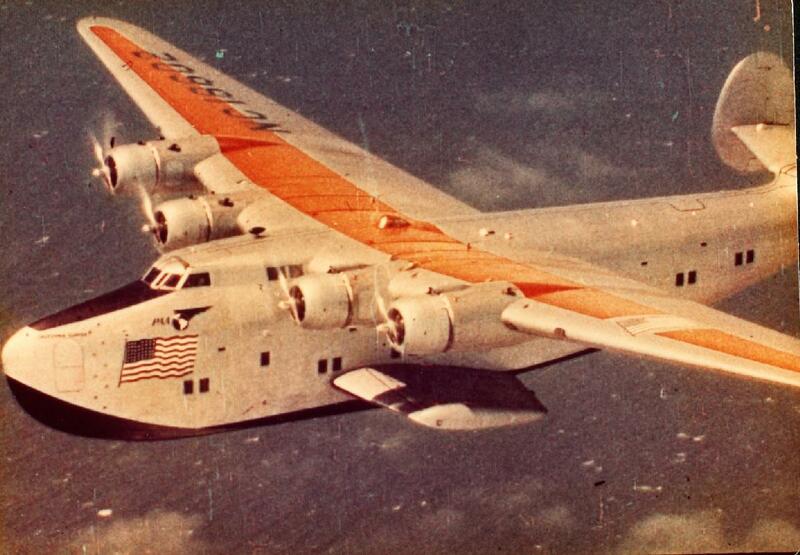 I’m amazed at just how dangerous those big flying boats were – they were big, unstable and incredibly unforgiving. If you’d like to know more, follow the links to Mark Goodrich’s site and find his white paper titled ‘Amphibious Nostalgia’… On the other hand, you can still buy a Cub – and I’ve never heard a Cub pilot who didn’t say flying one is A LOT of fun… Good for your head, your feet, your hands and your soul. Yes! Flying in general is good for your soul! I’ll definitely check out the link. Thanks.